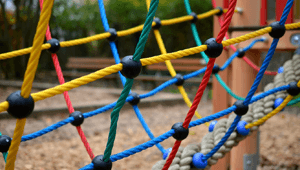 As part of an ambitious expansion plan for Lawley village including the construction of 3400 new homes, a new primary and reception school was to be constructed. 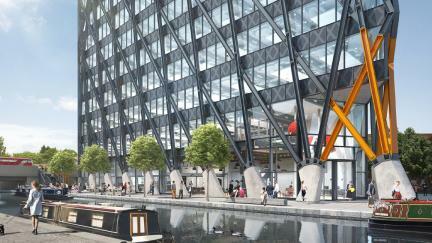 The architect for this project was Baart Harries Newall Architects, assisted by Wates Construction as the main contractor. 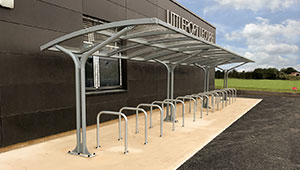 The reception area of the school required a sheltered outdoor area for learning, play and also a safe, dry gathering space for parents at home-time collections. 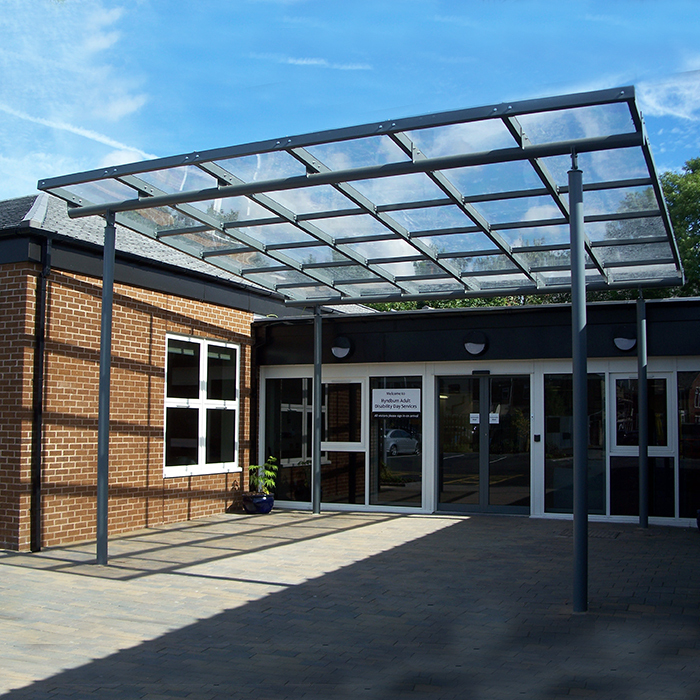 Bailey Streetscene were approached to provide an external canopy which the client required within a tight budget and short timescales. 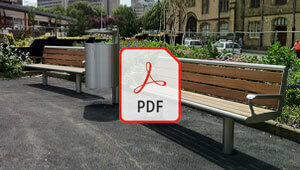 The canopy had to be designed and constructed to incorporate the same drainage system as the building. 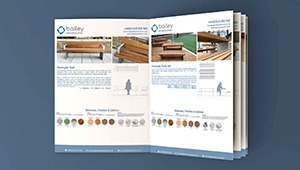 Bailey Streetscenes’ in-house design & manufacturing capabilities allowed them to adapt the original design to solve the drainage issue. This was achieved by angling the roof towards the school building and providing an overhang from canopy roof to direct any water into the schools drainage system. After initial costings and design discussions, the architect was happy with the Brandon canopy design but the cost was in excess of the contractor’s remaining budget for this project. 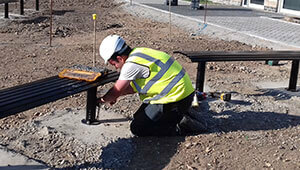 As a result, Bailey Streetscene then had to value engineer the canopy to come within the available budget for the scheme. 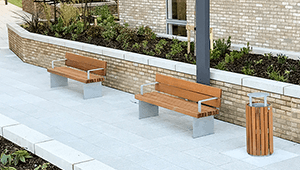 As with all projects of this kind, Bailey Streetscene had to coordinate installation with the QS and project manager from Wates construction as well as working around other trades & suppliers on site. The canopy installation was completed on time and within budget with both the architect and contractor very happy with the completed canopy. 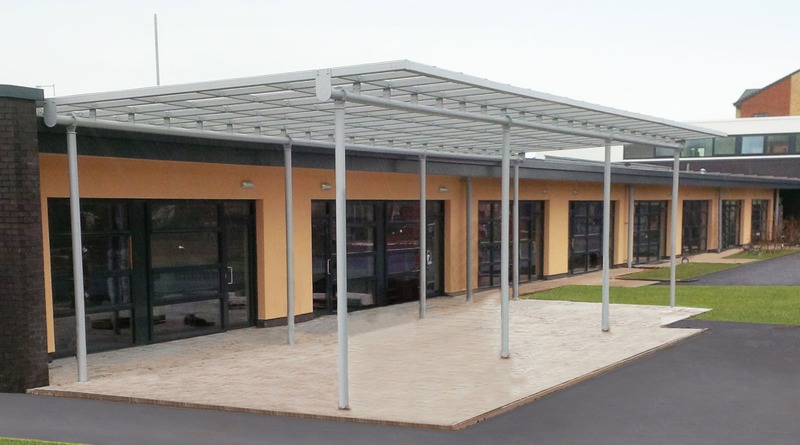 The canopy provided now offers the school an outdoor teaching areas as well as providing weather protection for parents waiting for their children. As a result of this successful project Bailey Streetscene were able to build on existing relationships with both the architect and the contractor involved.